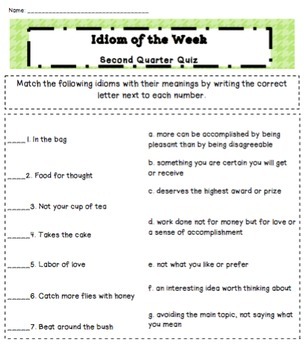 Help your students master idioms with these seven-week classroom resources. 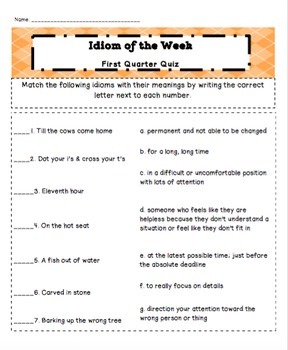 Students study a new idiom each week with their own printable notes. 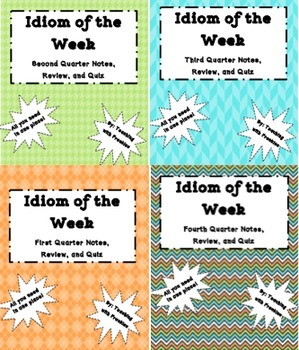 Note pages include the idiom, definition, origin, sample sentence, and a place for students to draw a mental picture to remember the idiom. A review sheet and assessment are included to show mastery at the end of the quarter. This purchase includes ALL FOUR quarters.